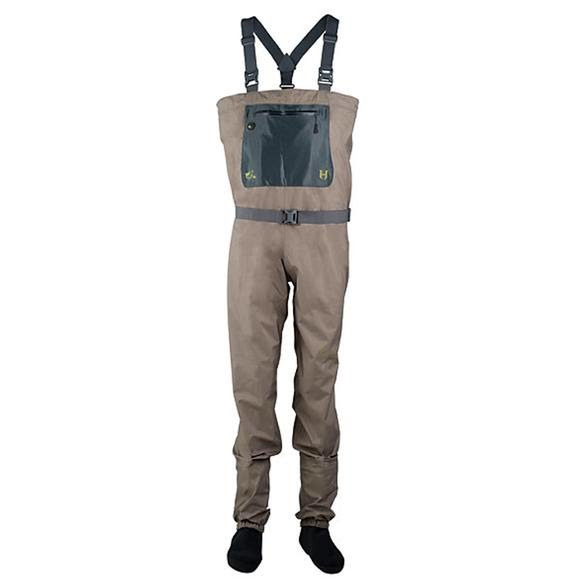 The Hodgman® H3 stocking foot wader is perfect for light-use anglers that are looking to keep things simple without breaking the bank. Constructed from a 3-layer breathable waterproof shell. The H3 features a mesh tippet chest zippered pocket and exit for larger leaders, fleece lined hand warmer and a wade belt with center back loop to keep it from getting lost if you unbuckle it.